Epicopeia polydora (Wetwood, 1841) is a moth that belong the family Epicopeiidae, they are day flying months. Most of moths are night active insects but some of them fly during the day, one of the well know and common day flying moth is insect of family Zyganidae. 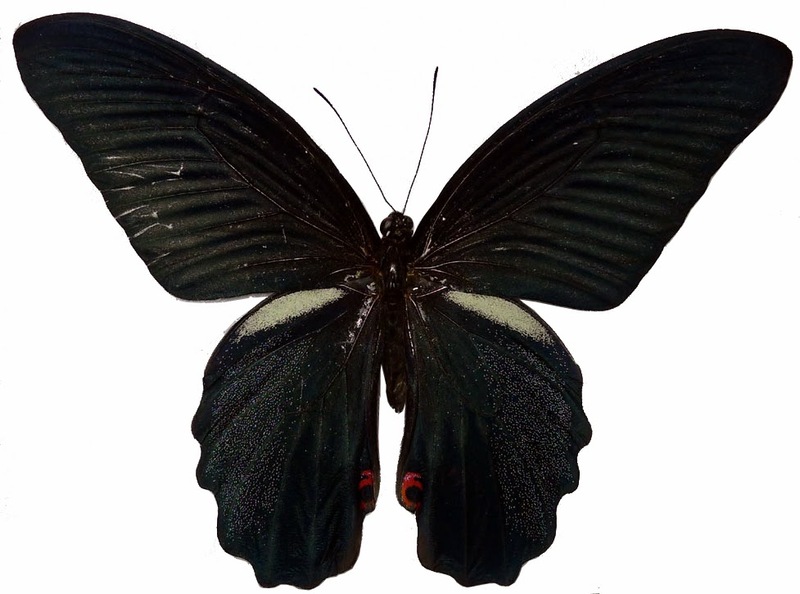 Members of Epicopeiidae are not variation as Zyganidae but they are very remarkable with their mimicry of Papilio butterflies. 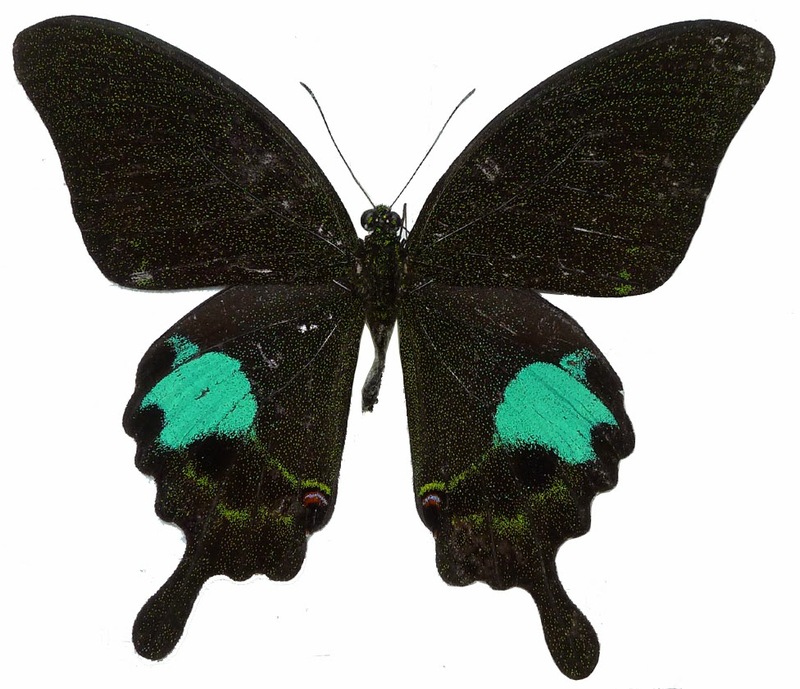 E. polydora has been found in North Vietnam and Thailand as well. 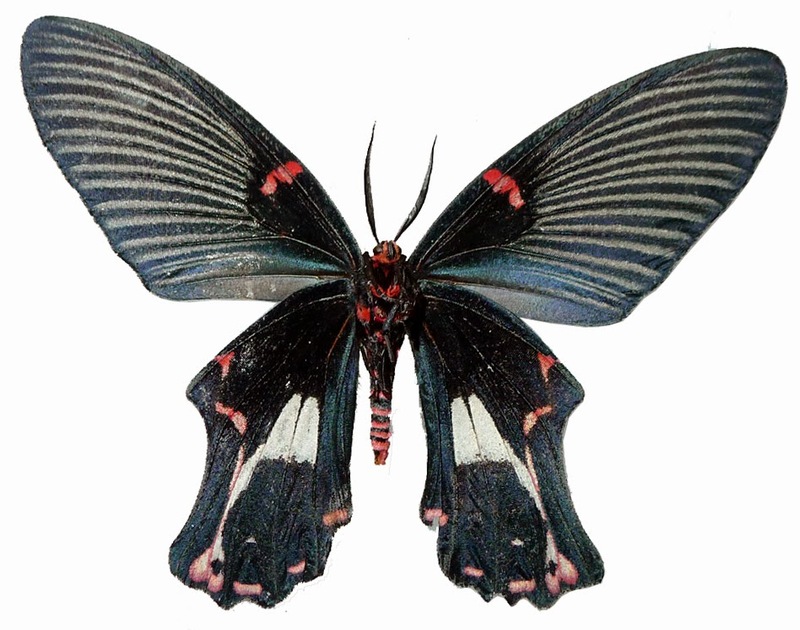 They are typical Papilio mimic moth of Epicopeiidae, the wings are mainly deep black as many members of Papilio butterflies and the red, white, shining metallic blue marking on the wings are very similar to Papilio. Size of the moth also same as many large side Papilio. 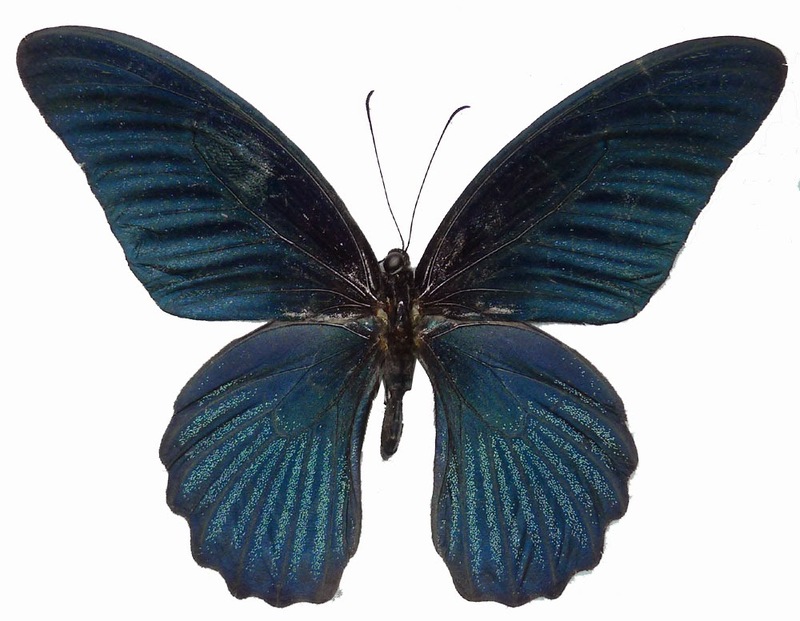 The hind wings of the Epicopeia also elongate when its folded partly, it will be same shape of the hind wing of swallow tail butterflies, Papilio. Epicopeida is easy to recognized to be a moth because the structure of their antenna, with comb shape, not slender as it of butterflies. 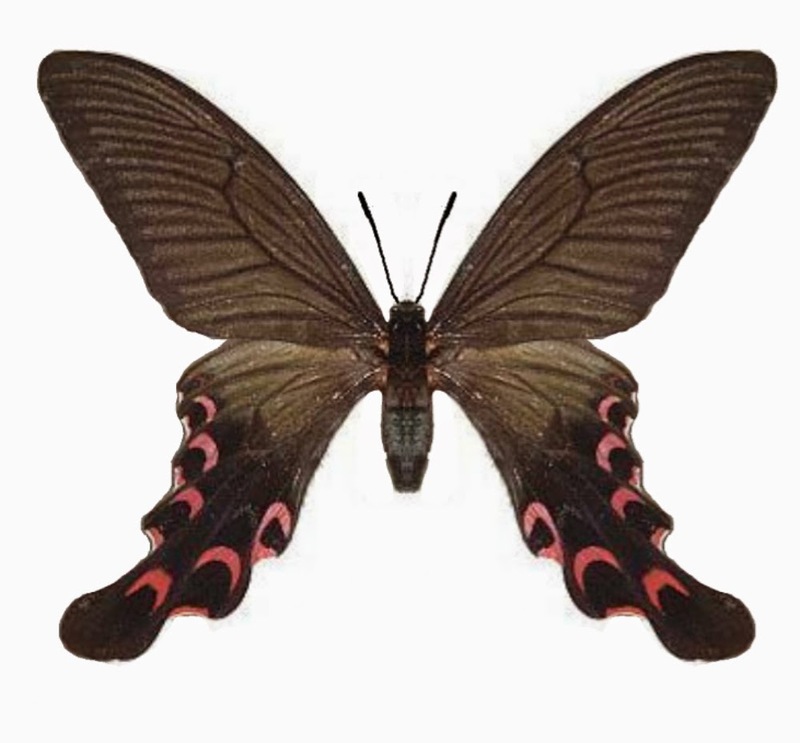 However moth's enemies are not entomologists and they are not easy to separate a moth flying in the day with a Papilio, then to be a thing like Papilio, Epicopeida will not be attracted by predators that don't want to eat Papilio. The day-flying moths also can be separated by the way and time of their flying, they seem slower than butterflies but normally fly higher than butterflies do. 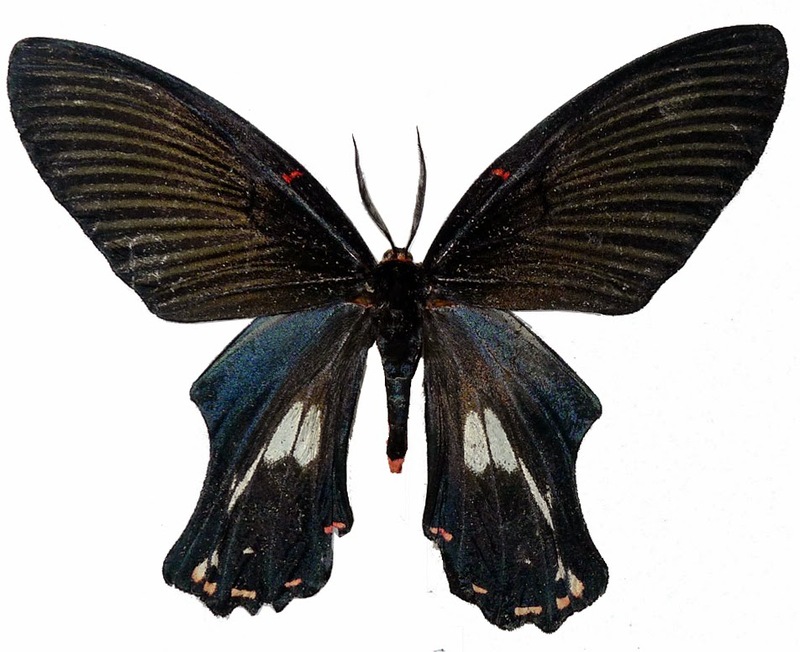 Papilio elwesi Leech, 1889 This species have been found from North Vietnam and South China. 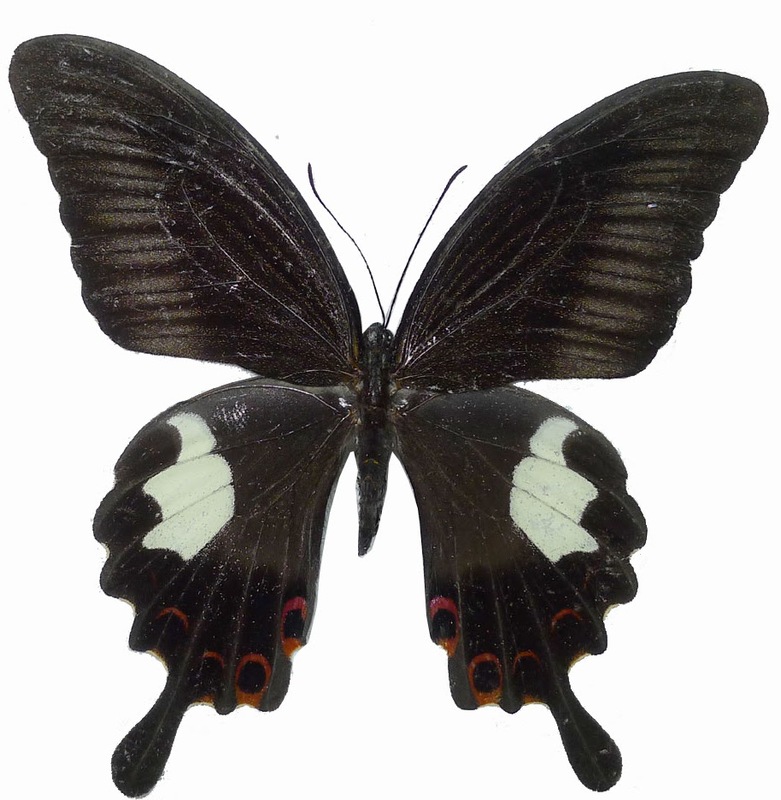 Note: Three last Papilio were described by "the father of taxonomy", Carl Linaeus.